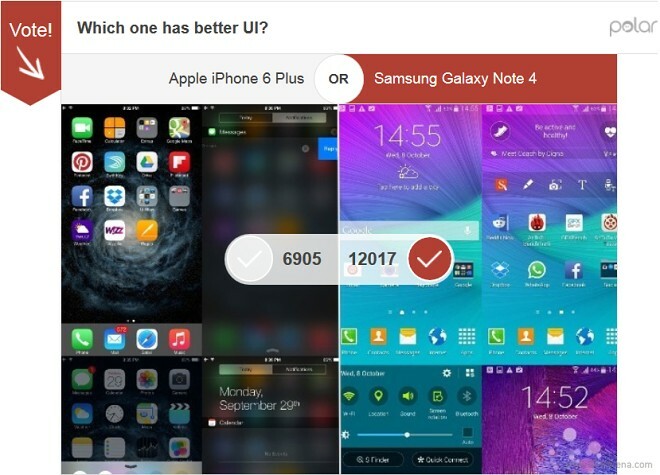 A big fight was taking place in the sidebar of our blog this week – the Apple iPhone 6 Plus faced the Samsung Galaxy Note 4 in a clash of two proper heavyweight champions. After giving you our take on how the two compare, we were interested to find out what’s your take on it. And as it turns out, you guys really the latest Samsung phablet far more than its Apple rival. 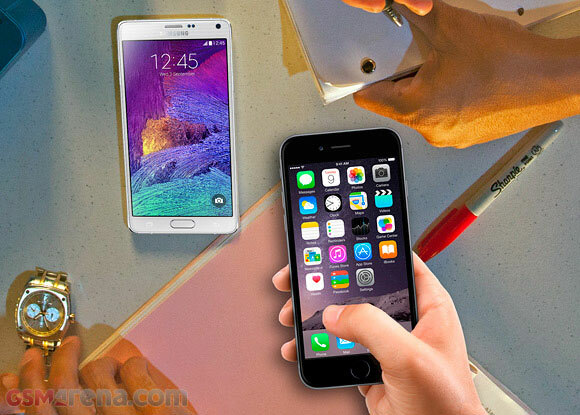 We began with the design comparison which saw the Galaxy Note 4 win by a 2-to-1 margin. Nearly 20,000 of you voted and 67% went for the Samsung phablet. 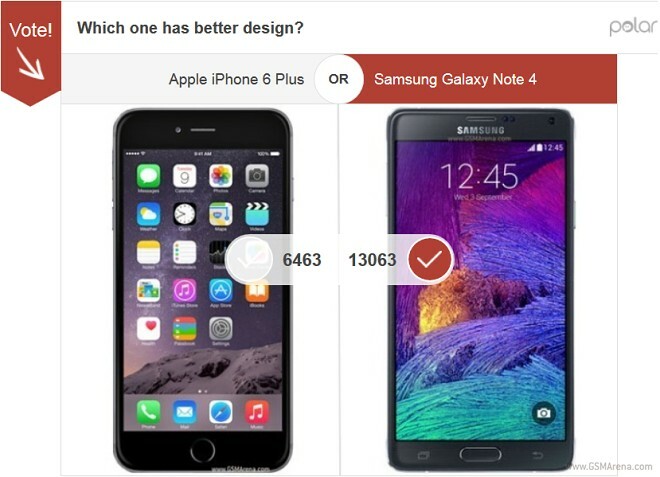 The Apple iPhone 6 Plus did better in the UI battle, but it still only managed to take 36% of the votes. iOS8 certainly adds a lot to the user experience, but Samsung has far more experience in designing a phablet-friendly UI helped it to the victory here. 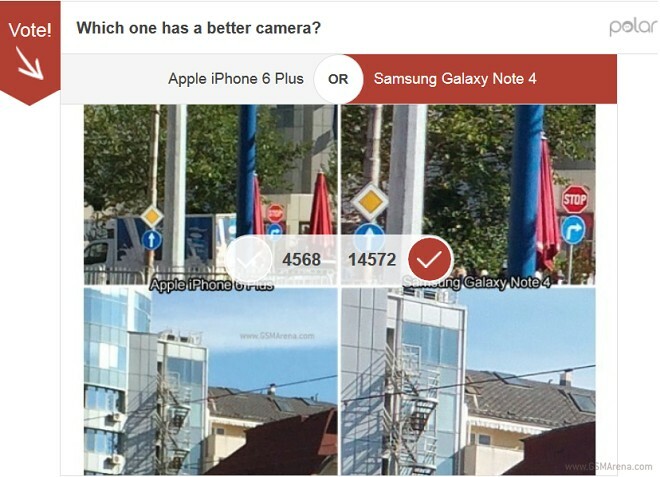 Moving on to cameras and the Samsung Galaxy Note 4’s most emphatic victory. Taking 76% of the votes, the 16MP snapper with 4K video recording wiped the floor with its 8MP/1080p rival. Finally, the most important member of the poll quartet – the overall preference. The Samsung Galaxy Note 4 made it a clean sweep by clinching this one too – and quite comfortably as well. 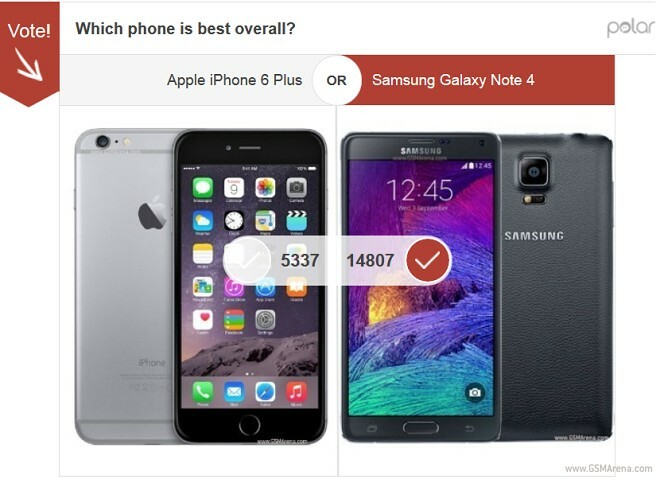 The phablet scored 74% of the votes over just 26% for the iPhone 6 Plus.